The products of the brand Piz Buin reach our pharmacies. A brand that until now could only be found in selected perfumeries opens new outlets to reach the customer loyal to the pharmacy. 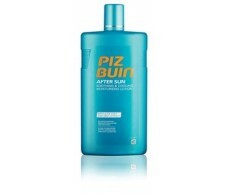 Piz Buin Tan & Protect, Piz Buin Allergy, Skin Wet Piz Buin, Piz Buin In Sun, Piz Buin After Sun.